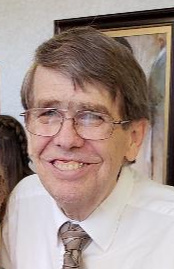 Brent Justin Pugmire, 64, after bravely fighting a long battle with pancreatic cancer passed away peacefully in his home on January 25th, 2019 in Mesa, Arizona. He was born to Glenn and June Pugmire in Murray, Utah on February 4th, 1954. Brent led a very happy life filled with family and friends. Brent grew up with several siblings, Don Pugmire, Robyn Stone, Mark Pugmire, Julee Brady and Marcee Alston. He was faithful member of the Church of Jesus Christ of Latter Day Saints. Brent was renowned for his gentle soul and constant smile. In 1980 he married the love of his life, Terri A. Pugmire, and they were lucky to have celebrated over 38 years together. During that time they had many wonderful adventures. Brent is survived by his wife, Terri A. Pugmire. Brent and Terri enjoyed a long relationship based on mutual support and a deep love for each other. Brent adored their children, Justin B. Pugmire, Brittany A. Pugmire and their 5 grandchildren: Noah, Jazlynn, Malaki, Elijah and Connor. His goodness and gentle kindness will live on in their lives. Brent loved talking about his Church of Jesus Christ of Latter Day Saints mission in Ireland and being surrounded by his grandchildren. One of his most current adventures was a sibling trip to Sweden where he was able to see landmarks from his family history. The funeral service will be held at 10:00am on Thursday, January 31, 2019 at The Church of Jesus Christ of Latter Day Saints, 5350 E McLellan Rd, Mesa, AZ 85205, with a visitation beginning one hour prior to the service at 9:00am. I always appreciated the smile Brent had to offer. We became friends while working together for several years. He often spoke of his family and experiences in life which I appreciated. I will miss my dear friend. My condolences to the family.